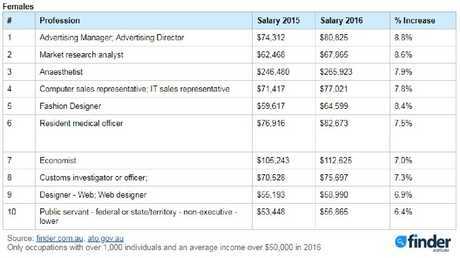 AUSSIE advertising managers and directors have enjoyed serious salary increases recently - but men are receiving $35,000 more than their female counterparts on average for doing the same job. That's according to an analysis of the most recent Australian Taxation Office (ATO) tax data by comparison site finder.com.au, which revealed the 20 jobs which have experienced the biggest jump in wages between 2015 and 2016. Interestingly, the data showed that male advertising managers and directors were paid $115,386 in 2016 - a pay increase of 10.3 per cent on the previous year - but far higher than their female colleagues, who just received $80,825 - representing an 8.8 per cent rise. The findings were broken down into the salaries with the biggest wage hike for both male and female workers - but it also found the average wage boost for women within the top professions was 7.7 per cent, far lower than the average male increase of 15.6 per cent. 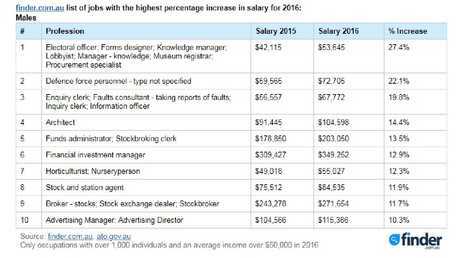 For the blokes, the roles that had seen the biggest wage increase of 27.4 per cent wage include electoral officer, forms designer, knowledge manager, lobbyist, museum registrar and procurement specialist. The pay rise brought those average salaries to $53,645 in 2016, compared with just $42,115 just one year earlier. Meanwhile, female employees who work as advertising managers and directors enjoyed the biggest salary jumps, while male defence force workers, whose salaries rose by 22.1 per cent, and female market analysts, whose wages got an 8.6 per cent boost, took out second place on the list. Overall, the best-paying job on the list was a male financial investment manager, with an average salary of $349,252 in 2016, up 12.0 per cent or $39,825 from 2015. Finder.com.au's income protection expert Bessie Hassan said it was tough to say why these jobs had experienced such dramatic increases. "These jobs may have seen a high increase in salary due to demand, or simply just an industry trend," Ms Hassan said. "Skilled workers are highly sought-after which may be another reason why designers, anaesthetists, market analysts, and defence force workers have seen such a large salary increase." She urged well-paid workers to consider income protection. "If you're working in a high-earning profession or industry this makes it even more important to protect your income," she said. "White collar workers may not face much risk of being injured at work, but they're still at risk of illness." The findings follow research released last week which revealed advertised salaries had hit record highs in 2018 - but that many Aussie workers were still "grossly underpaid". According to new research from job site Adzuna, average advertised salaries have increased eight per cent year-on-year to reach a high of $94,180. Wage increases have occurred across most industries, with many achieving double-digit growth. 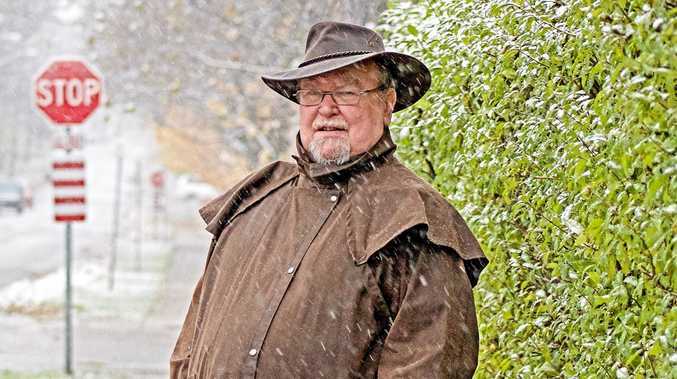 The only sectors to have seen a decline in wages are hospitality, which is down 7 per cent, and consultancy, which has decreased by 3 per cent, while salaries within the accounting and finance industries have remained flat. Should you be in line for a pay rise?